Manufacturer & Exporter of Laminated Rolls & Durable Laminated Rolls. Our product range also comprises of LDPE Tarpaulins, LDPE Sheet and HDPE Tarpaulin Sheet. We manufacture premium quality laminated rolls in various sizes and finishes. Our laminated rolls are fabricated from excellent raw materials which are characterized by durability and strength. 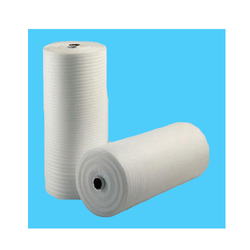 The laminated rolls are widely used by the industry for making packaging solutions. These Rolls are made in sizes like 6, 8, 10 and 12 feet.